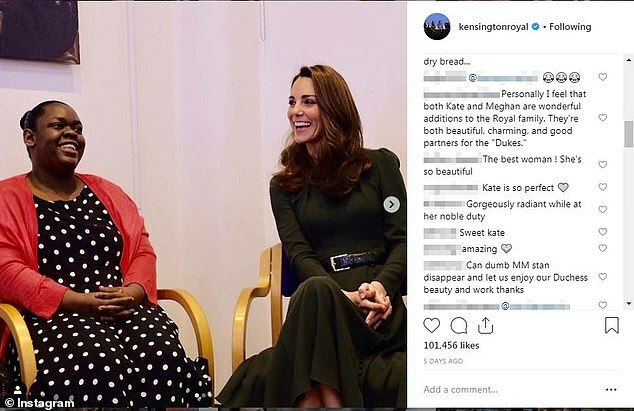 Staff at Kensington Palace are being forced to spend hours moderating ‘hundreds of thousands’ of vile sexist and racist online comments aimed at the Duchess of Cambridge, Kate Middleton and the Duchess of Sussex, Meghan Markle. Violent threats have been made towards the two women across social media channels such as Instagram, while other trolls have been targeting ‘rival’ fans in a spate of vicious personal abuse. Neither Kate nor Meghan have social media accounts, with Meghan having famously closed her Instagram account a year before her marriage to Prince Harry. While royal aides have stressed that the majority of comments being left on the official Kensington Palace social media accounts are positive, a Palace source told Hello! that they have also highlighted that teams are spending hours reviewing old material and moderating comments under posts. 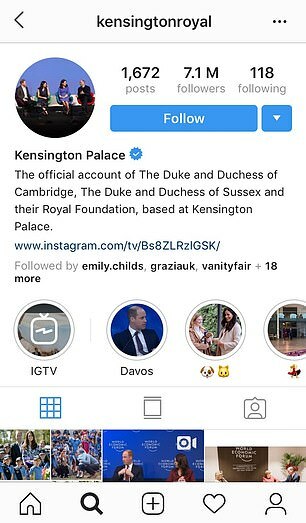 Kensington Palace’s social media accounts are a vital source of information for fans of the royals and its Instagram page has over seven million followers, while its Twitter account has nearly 1.6 million. The Palace is now said to be moderating comments from both Instagram and other social channels. 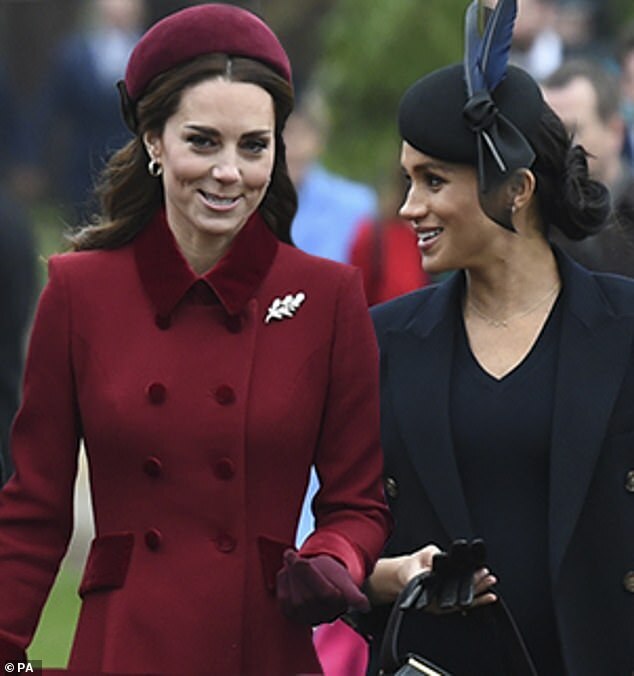 News of the Palace’s struggle with social media comes after claims that Meghan and Kate had been embroiled in a lengthy rift, driving the two apart, after it was announced that Prince Harry and his wife would be leaving London and moving to Windsor. The pair decided to put their differences aside at Christmas as it was said they enjoyed a game of Scrabble together. The wives of Windsor, whose ‘differing personalities’ were said to be at the centre of the rift, celebrated Christmas with the Queen and the rest of the royal family in Sandringham. The social networking company has a team dedicated to helping high profile Instagram users cope with issues such as these, and particularly around the monitoring of unpleasant and abusive comments. A Palace source said: ‘It follows a Kate vs Meghan narrative and some of the worst stuff is between Kate fans and Meghan fans. 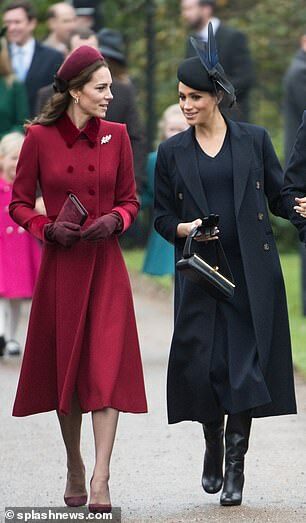 In some posts Kate has been called ‘boring’, while Meghan has been targeted for being ‘too slim’ and for ‘touching her baby bump too much’. 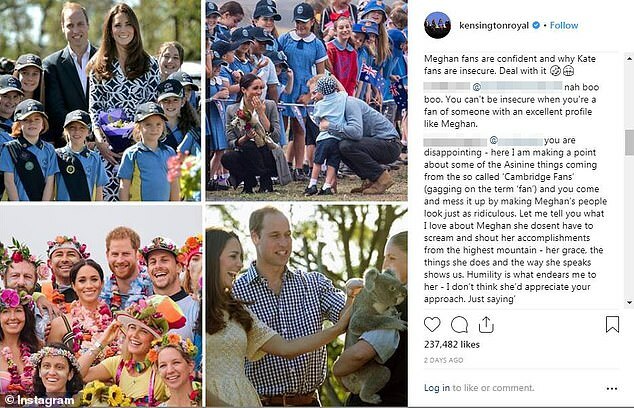 Much of the aggression on social media from fans has been from those who have taken sides between the Kate and Meghan following reported tensions in the royal household last year. There were claims that Kate broke down in tears following Princess Charlotte’s bridesmaid’s dress fitting, ahead of Meghan and Harry’s wedding in May, as well as suggestions the pair had clashed over staff. Sources had also claimed that Meghan was ‘fed-up’ of not being able to ‘stand up for herself’ as the demands of royal protocol dictate she keeps a dignified silence amid rumours of tension between the sisters-in-law. A source previously told the Daily Mail’s Rebecca English: ‘While there are some tensions behind the scenes, Kate is pretty unflappable and nothing has become bad enough to make Harry and Meghan want to move out. Hello Magazine have now launched a campaign to take a stand against this behaviour, more information can be found here.